A Beard Is A Most Personal Possession, and every person with facial hair should try growing a beard at least once in adult life. Letting a beard grow out is the most natural and ecological expression of confidence and character. Far from being a mask to hide behind, the growing of a beard changes one’s appearance completely, and managing this change against peer pressure can strengthen and enhance one’s persona. Unlike other body-modification such as muscle building, tattooing, and piercing, growing a beard is painless and takes almost no effort. Many Members of The British Beard Club have done all this at least once, and are here to advise, admire and encourage you. 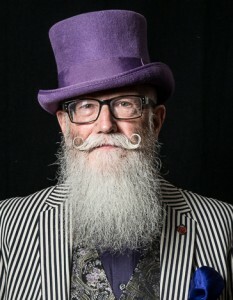 Welcome to Yorkshire Beard Day 2019 and have a wonderful day of follicular fun! Special thanks to Anthony Springall, Kearon and the rest of the team for arranging and conducting the event so splendidly.